B0003. CHARLES O'CONNELL. 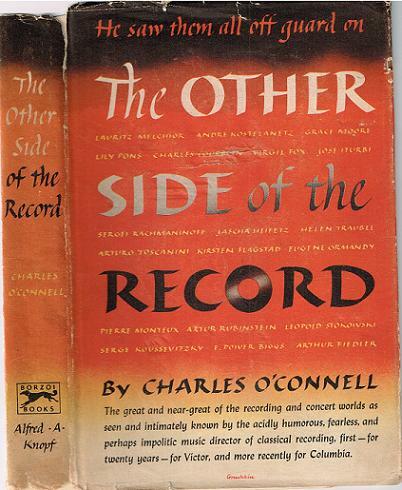 The Other Side of the Record. New York, Knopf, 1947. 343pp. Index; DJ. Extensive Chapters on Koussevitzky, Fiedler, Heifetz, Stokowski, Monteux, Toscanini, Rachmaninoff, Rubinstein, Flagstad, Melchior, etc. by the Music Director of Victor Red Seal Records, 1930-44. 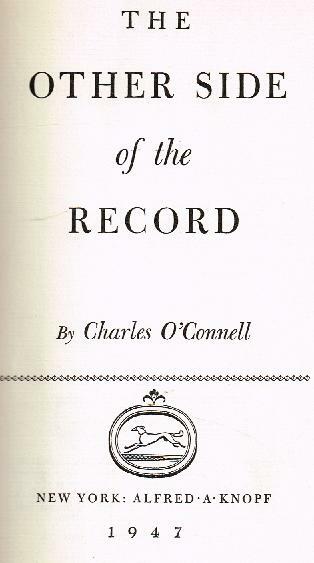 Delightful memoirs concerning the private lives of many Victor Artists with whom O'Connell worked.